Brad Pitt, zombies… WTF? 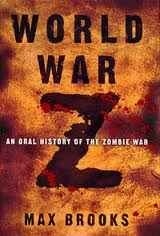 No, WWZ. Having wrapped up the stereo conversion on John Carter at Cinesite last Friday, I have now moved to MPC – aka The Moving Picture Company to get stuck in with a zombie or two on World War Z. A zombie movie starring Brad Pitt? Did I wake up in some sort of upside down bizarro universe? When did A list actors start making zombie movies? Brave New World… Should be heaps of fun! BAFTA Awards 2012 – visual effects long list! *Update: After some research, the title of this post has been ammended. Hey everyone… the BAFTA Awards Long List has been released! With the BAFTA’s, there has been one round of voting so far reducing the potential nominees to 15 in each category (5 in Documentary and Animated Film – because they’re not proper films and they’re not very hard to make anyways, right? Ha!). FYI… The asterisks (*) denote the top five as voted by BAFTA members in the Visual Effects peer group (like myself) and is a useful guide for other BAFTA members when voting to see how the experts are leaning. Now then… not a bad bunch – often mirroring my own choices – but the first thing that jumps off the page at me is: Tin Tin?! What th’ ?! And what’s that? An asterisk next to it?!!! Huh? I’m sorry fellow visual effects peeps, but shouldn’t Tin Tin be in the animated film category? I can see where the general BAFTA member might get this wrong, but honestly… How could the Vfx professionals make this mistake?! And don’t start telling me about how it’s all motion captured blah blah blah. It’s a cartoon and it has it’s own category. Speaking of Rise Of The Planet Of The Apes… great film, great effects, deserves a nomination, doesn’t deserve to win. They aimed high and they missed the mark. Granted, a lot of the ape effects were stunning and flawless – its just that there were enough uncanny valley moments peppered throughout when the CG-ness of the apes became too noticeable and it distracted from the experience. Close, but no cigar. Transformers: Dark of the Moon? Awesome effects, terrible movie. Probably will get nominated but won’t win because no one enjoyed watching it. Sorry, but it’s true. Hugo… gorgeous, charming and fun film – subtle and artful use of visual effects – great “invisible” effects too. A nomination is almost assured and a win is certainly possible. I wouldn’t sulk if it did, but it’s not my number one choice. Super 8. God I loved that film! Took me right back to my childhood. It seems like all I ever did as a teenager was make Super 8 films with my best buds. And the aliens. Oh… did I never mention the Richfield alien invasion of ’76? Remind me to tell you about it sometime. Super 8 should get a nomination. The effects were well done and it was a great story with an excellent cast. The train wreck is worth the price of admission alone. The Artist is listed because, well… look. It’s listed in everything! The Artist had nice Vfx work but it will get plenty of other nominations! Leave visual effects for the rest of us – greedy! Same goes for Midnight In Paris. One of my favourites this year, and I’m sure it was chock full of seamless invisible Vfx, but let’s face it… It’s not really in the running. X-men: First Class – well, what can I say really. Great film! Great effects! Ok… So I’m biased because, not only did I work on it, but I got to join in on a few conference calls with John Dykstra. Yes… Thee John Dykstra!. Tick in the box for meeting a boyhood hero (well, talking on the phone briefly anyway)! OK… Probably won’t get the nom – superhero genre too crowded this year – but a fun film nonetheless. The rest of the films on the short list are all worthy as well, but probably not the winner. Bringing us to Harry Potter and the Deathly Hallows – Part 2. Eighth and final film in the Harry Potter franchise. Did you know that every Harry Potter film so far has been nominated for – and lost – the Special Visual Effects BAFTA. Criminal! The Harry Potter series has been a 10 year journey that has coincided with unprecedented expansion in the UK film visual effects industry. When I started in London back in 1995, there were probably a few hundred people earning their living in digital visual effects for film here. Today in 2012, there’s probably 4,000-5,000. Much of this explosive growth can be directly attributed to Harry Potter. The Harry Potter film series put Soho on the map for visual effects and it’s hard to believe they’ve never had a BAFTA win in the visual effects category (or a Vfx Oscar win either for that matter). As for the visual effects in the final Harry Potter film… they were masterful. Expertly executed and deliciously dark – in keeping with the movie itself. This is the UK visual effects communities last chance to say thank you to the film series that basically built up our Industry in to the international powerhouse it is today – and I, for one, know how I’ll be voting. Harry Potter deserves to win! Here’s hoping the rest of the British Academy members feel the same! Happy New Year! Awards season is upon us once again! The first round of BAFTA voting closes this Wednesday and I’ve been cramming in screenings of as many of last years films as possible. I’ve got my favourites – but what do you think were the best Visual Effects films of 2011? Lots to choose from… pick up to five that you liked in the poll below. Let me know in the comments if you think I left any out.